@Pick Me Up A Pil Eh, but really bro, is that a no? @Pick Me Up A Pil Eh, sah bro! Reminds me of Finn and Poe. Sounds like the two guards from Undertale. @notcaptianamerica, you mean his real bros, bro. 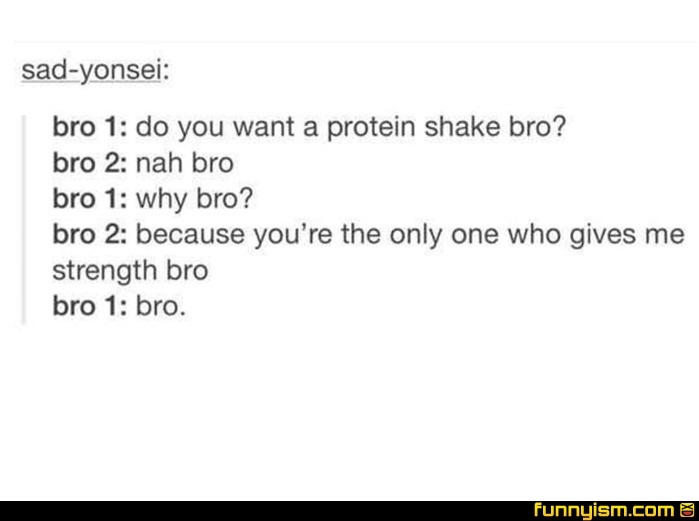 Kinda bros you don't have bro.